NWS Blizzard warnings are up again in eastern CO/western KS again for 2nd time in two weeks. 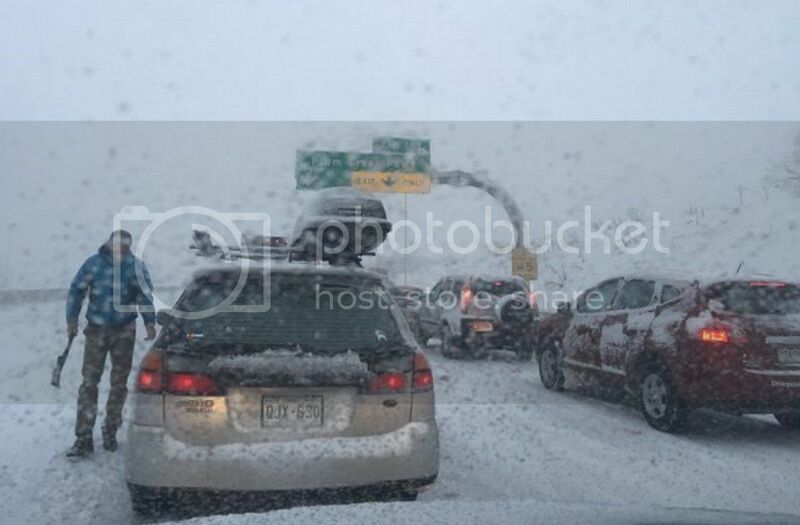 Conditions across Colorado, are forcing major travel delays on roadways and in the air. Some areas outside of Denver recorded up to 15 inches of snow on by early this morning. INCLUDE WICHITA AND GREELEY COUNTIES IN NORTHWEST KANSAS. LATE MORNING THROUGH THE AFTERNOON. WINDS...WHITEOUT CONDITIONS AND DRIFTING SNOW. BETWEEN HIGHWAY 385 AND THE COLORADO KANSAS BORDER. * WINDS...NORTH 35 TO 45 MPH WITH GUSTS UP TO 65 MPH. * TEMPERATURES...IN THE UPPER 20S. STAY WITH YOUR VEHICLE UNTIL HELP ARRIVES.